The MedFit Education Foundation welcomes sponsorship from businesses and organizations. Sponsorship helps support our ongoing mission of creating and facilitating education programming for fitness and allied healthcare professionals -- empowering them to serve as pivotal players in the healthcare system, and make a positive impact in the health of our nation. 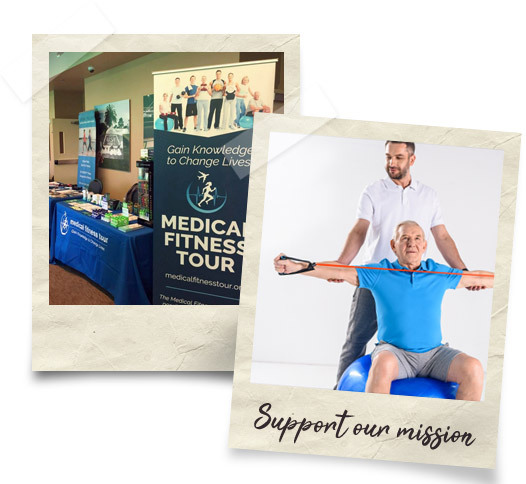 Sponsorship is currently available for two of the Foundation's educational endeavors, the Medical Fitness Tour and the Professional Education Webinar Series. We welcome sponsorship for the Medical Fitness Tour. The Tour is a national traveling conference for fitness professionals, allied healthcare professionals, physicians, nurses, insurance providers and students.